Sepsis is one of many potentially life-threatening conditions caused by an infected blood. The mortality rate, when progressed to septic shock, could go as near as 50 percent. A number of medications are done to treat Sepsis, and now, researchers have come up with a nanorobot that could clean the infection in blood. These tiny robots are directed by ultrasound, and are made of gold nanowires with biological coating. They function by darting around the blood, attaching to the bacteria , and neutralizing the toxins produced. IIn the labs of Joseph Wang and Liangfang Zhang at the University of California San Diego (UCSD), these robots were invented and developed with the hope that a robotic detoxification system could provide an alternative. Bacterias infect the blood by attaching to platelets and by producing toxins that poke holes in the red blood cells. To effectively combat these actions, these robots' nanowires are cloaked with platelets and red blood cells. This method disguises the nanorobots to make them look like the components of blood that bacterias look for. When the bacterias attach to these nanorobots, thinking they're a real platelet, the nanowires of the robots captivate the bacteria attached to it. Toxins could also be tricked to interact with the nonorobots, but will only be neutralized in the process. The disguise is so good, that our own immune system will think that the nanorobots are actual blood cell so it won't attack them as well. 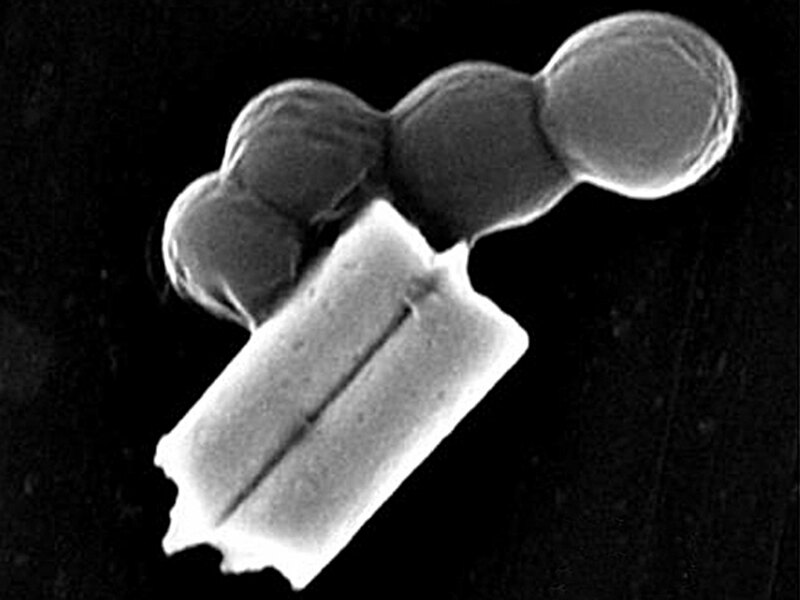 Although these nanorobots won't to replace antibiotics soon, the USCD team is working on it to have that capacity. They are currently scaling up the design, improving the propulsion mechanisms, and testing the treatment with lab rats. The next thing for these researchers is to load up the membranes with high amounts of drugs to observe how well it can perform a targeted drug delivery. Want to know more about this awesome device? Just follow this link!